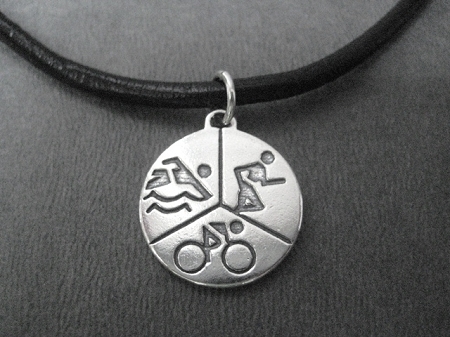 The Sterling Silver SWIM BIKE RUN Round TRIATHLON Necklace makes a bold statement! Perfect for Triathlon Guys or Triathlon Girls! 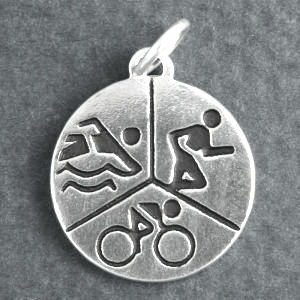 The Sterling Silver SWIM BIKE RUN Round TRIATHLON Necklace features a thick, heavy weight just over 3/4 inch Round Sterling Silver Charm divided into Swim, Bike and Run Sections on your choice of chain!